Due to an overwhelming schedule this August, we weren't able to post new episodes for the past two weeks. 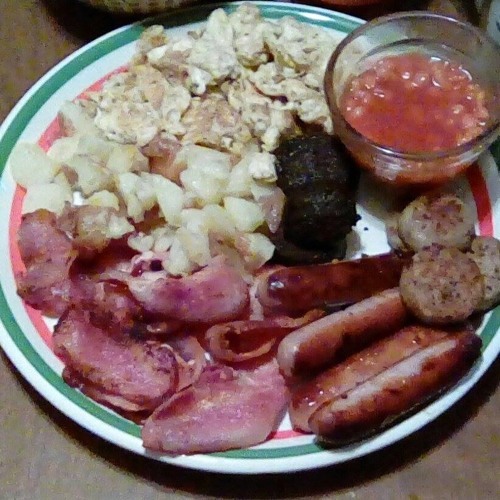 To make up for that, this week's episode features a Full Irish Breakfast! A quite absurd amount of breakfast foods, all rolled into one podcast. Mary Mac goes through how to prepare each of the foods (basically you fry everything) and explains what exactly is a black pudding.